Results to Date: Since website launch in May 2017, the page download speed on mobile and desktop is almost 90%, which has laid the foundations for great content marketing and SEO activity. Organic results have started to show progress within a short period of time, top ten keyword positions for search strings such as: Plant Hire, Teleporter Hire Cost, Plant Hire Rates, Hire Excavator, Dublin Plant and Digger Hire, Plant Hire Dublin. 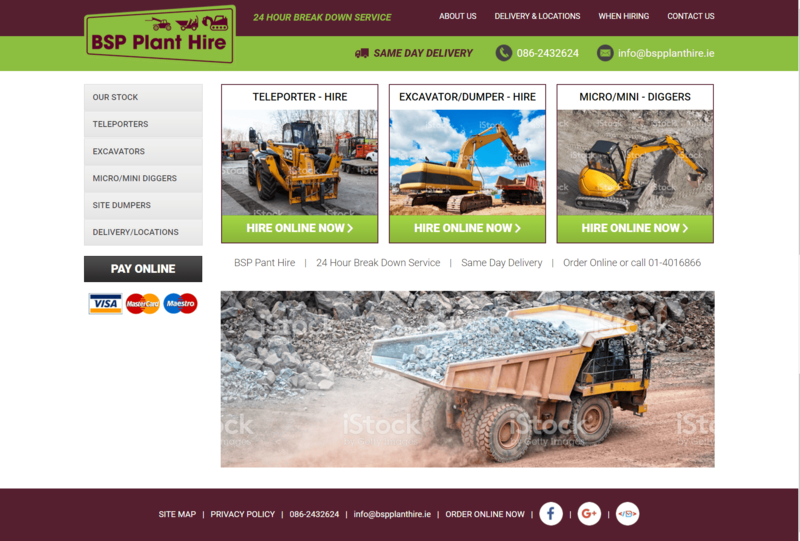 Company Description: Plant Hire Company, servicing Dublin and Leinster. Objectives: New website design, secure payment portal and online ordering process.